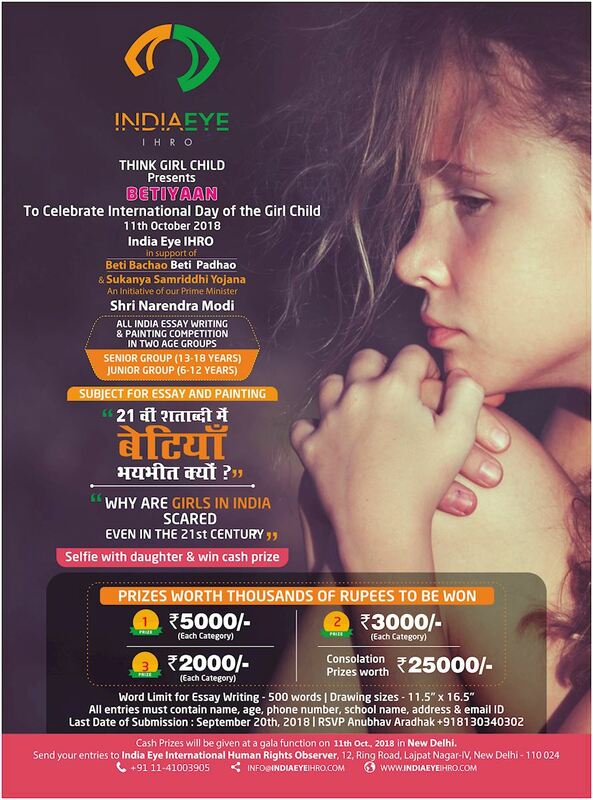 India Eye International Human Rights Observer (IHRO) is going to celebrate ‘International Day for the Girl Child’ as Betiyaan with a theme ‘Why are girls scared in India even in the 21st century?’ on October 11th, 2018 at India Islamic Cultural Centre, Lodhi Road, New Delhi, for the third consecutive year with its envisioned objective of providing a better surrounding for our girls. On October 11th, leading environmentalists, thinkers, academicians, industrialists, journalists, religious leaders from across India will deliberate upon the issue of safety and security of the girl child (females). We would be requiring at least 100 volunteers that day.